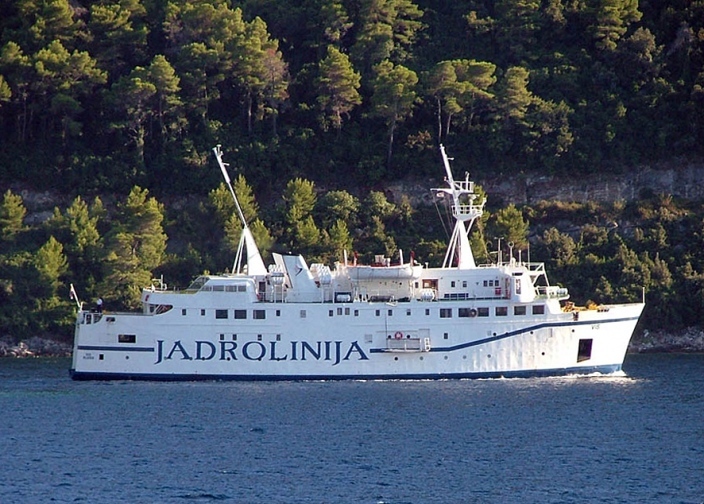 The peak of nautical and tourist season in Croatia, which is in July and August brings with it increased traffic at sea, and thus a number of maritime accidents is bigger than in all other months combined. In most cases the reason of accidents is human factor, or inattention. Material damage and injury of crew, swimmers, divers and fishermen can be avoided if sailors pay more attention to some basic things. 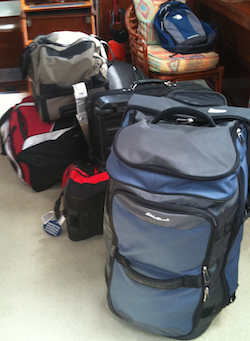 It is interesting that accidents each year repeats at the more or less same locations, even from similar causes, so we are, in conversation with the insurers and expert witnesses managed to compiled the ten most common reasons of failed vacation. 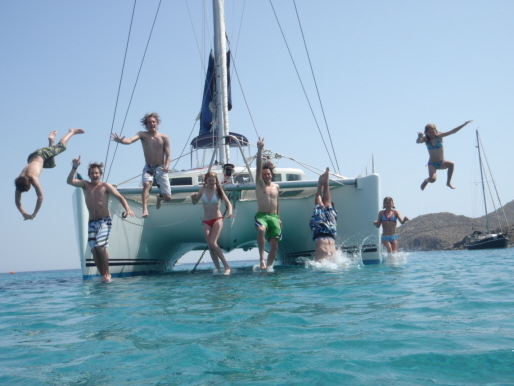 All of you who plan your vacation on a boat, ether it is yours or you plan to rent one of many charter boats, should consider these advices. 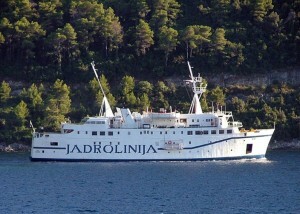 Many Croatian skippers in recent days complain about drastic reduction of demand for their services. Main reason is of course current crisis which made people want to save as much as they can while they renting a charter boat. 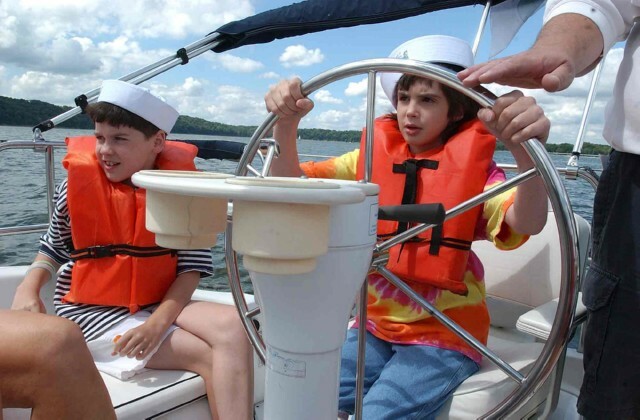 It is a fact that skipper fee represent significant part of total cost while renting a boat but many people often forget a number of advantages for having a professional on the boat. 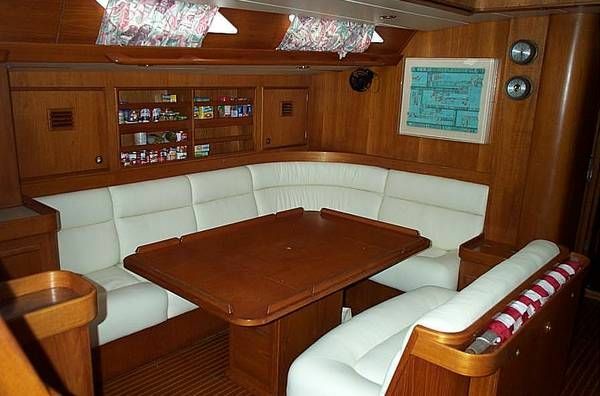 First of many reasons why you should hire a professional skipper is his experience and the fact that you will have at all times on the vacation someone responsible for the boat. 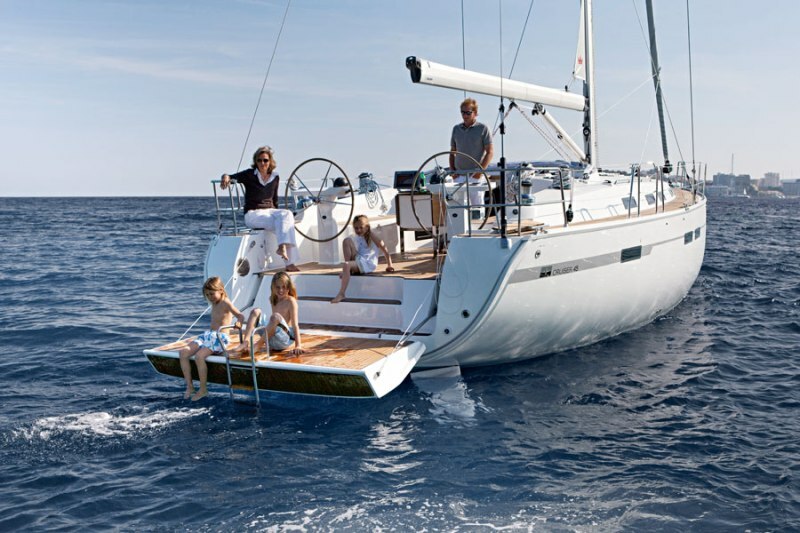 In addition, an experienced skipper is an endless source of advices and useful informations, especially if you are sailing into some archipelago which you never visited before. 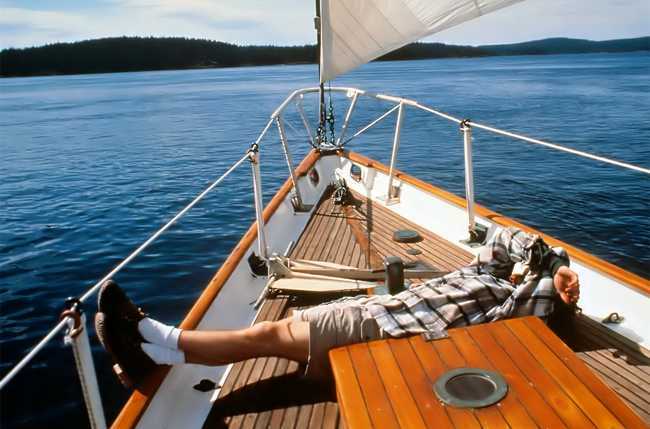 Cruising should be a holiday and vacation for participants, and without paid skipper some of the crew will have to take a sacrifice and take that job which means early wakening, skipping the night parties, and of course alcohol. Having in mind all of that our advice is – Don’t save on skipper, but rather rent a few feet shorter boat. 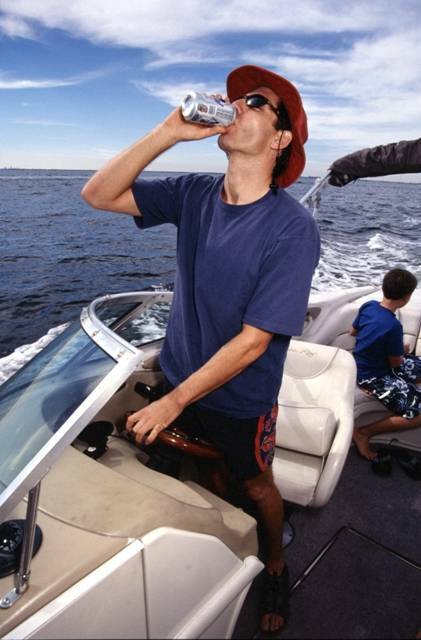 If you are confident in your sailing skills and don’t have a need for hiring a professional skipper, have in mind that captain duty on boat does not include drinking alcohol in more then moderate way, meaning that the same rules apply as you were driving a car. The allowed tolerance of alcohol in blood for people that driving boats in Croatian waters is 0,5 permille. Unlike the police officers which regularly check the sobriety of drivers of cars, on the sea the control is generally performed at the spot after you had an accident. This fact is main reason for such high number of intoxicated captains with reduced reasoning. Drunk captains are easily recognizable when they arriving into marinas, and this can be seen by the level of panic on the neighbouring boats. Most of them rely on auto-pilots when they are on open sea, but in a time of season peak and high number of boats at the sea this way of sailing is very dangerous. Our advice would be that if you took the duty of being a captain you should avoid excessive drinking. Size matters, even in a maritime traffic, and the little boats pay the price to bigger ones. On the open sea this usually means little swinging from the waves, some cursing and eventually some broken dishes but the real problems arises along the coast. The best example of this are sailing boats tied to the waterfront in town Vis. Every time the ferry comes into harbour all small boats are on attention. Waves can cause broken ropes, loosen anchors and other unpleasant situations so caution is advisable in those situations. Our advice to avoid these situations is that, in those harbours where ferries and big ships pass close to little boats, you should check their time table and in those hours loose your ropes. 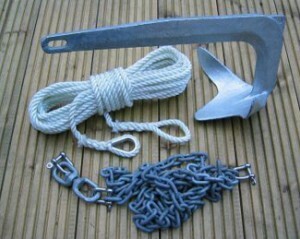 For most boat owners and sailors escaping from the storm ends by entering the marina or harbour. However, last example from island Murter calls for extra caution. Some crew had find safe place from the storm in the nearby restaurant thinking that the tied boat is safe, but while they enjoyed the dinner lightning struck in the mast of sail boat and from the force of impact the depth gauge probe fell off, and that was not all. After they returned after a couple hours they saw that the boats is full of water. Due to the short-circuit pumps stopped working and the damge on the furniture and installations was more then 60.000 euros. The expert that evaluated the damage told us that the possible cause of this was outlet connected to the electricity grid box on the shore. Apparently, lightning usually select ships that have live voltage. 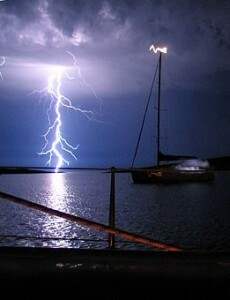 Our advice in the time of thunder storms would be that you keep an eye on the boat and disconnect it from the electrical grid. 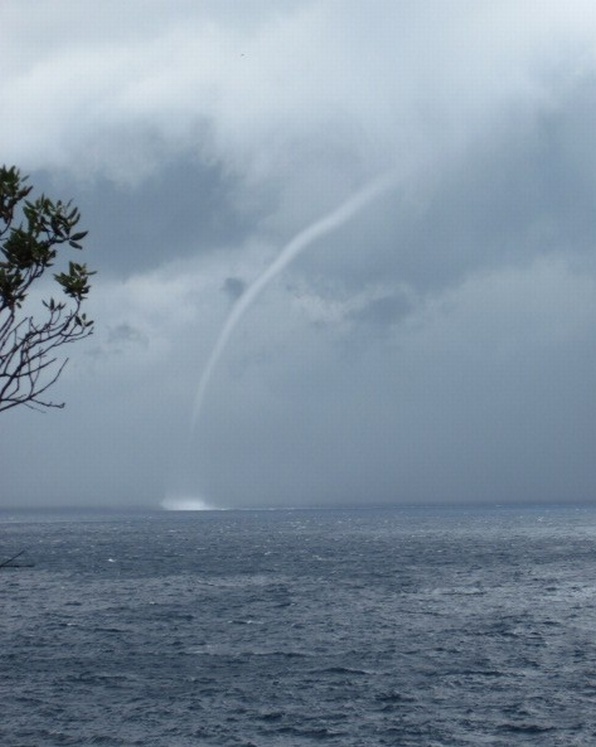 The appearances of the waterspouts is not rare phenomenon in the Adriatic. However, they are not nearly as dangerous as big tornados, but the damage they can do on the ship can be quite significant. A few years ago , in the waters of island Murter, where the waterspouts often appear, catamaran with Italian crew was turned completely upside down by the waterspout, fortunately without any victims. Wind unwounded the roll-in sails and then played with a boat like it was a toy. As the duration of this phenomenon is very short it is best to sail away from the shore and other boats, and hide all the light objects under the deck. Of course, sails needs to be rolled up completely. We can add that listening weather prognosis often as you can is a good way to avoid waterspouts. A large numbers of small damages occurs because of the inexperience of some boat captains which combined with small spaces of some marinas can led to some accidents. One example of ‘nautical minimalism’ is ACI marina in town Korcula, designed in the early eighties when it wasn’t expected that the average length of the sailing boats will be fifteen meters. 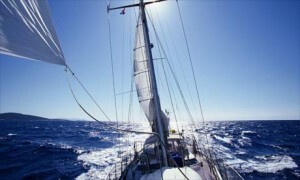 Due to the inability to adapt to the needs of the modern ships many skippers avoid sailing there in the summer months. Others however take those small marinas as challenges to demonstrate their skills and impress their crew but not always successfully. Our advice in these situations is that you try yo find someone more experienced (like dedicated pilot skipper) to guide the boat or try to find some other place. Night navigation is the most demanding part of the navigation and also the riskiest. Most of the charter boats and small sailing boats still don’t have radar as a part of a standard equipment so skippers need to rely on the experience and knowledge of sea lights. Fatigue, waves and poor visibility are obstacles that need to be overcome in order to bring the boat and the crew to the safe destinations. Unfortunately the night accidents are most dangerous because the rescue is much more difficult in those conditions. 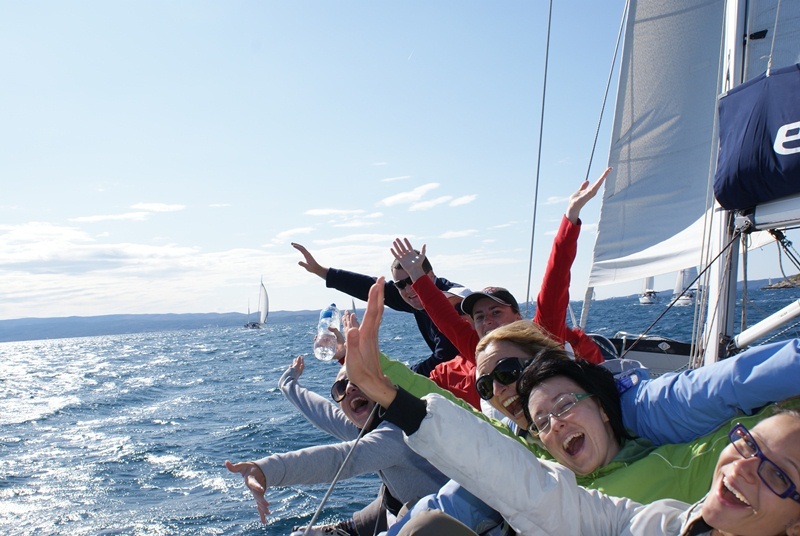 Our advice to inexperienced skippers is that you simply wait for the morning. Sailing under Zdrelac bridge on island Ugljan has been a nightmare for many skippers. Many of them that didn’t know the height of their masts and the hight of the bridge got stuck in this passage. Most important is that you don’t rely on approximately measuring the height of the bridge but instead learn official data and look for the signs. Same thing could be said for the draught and the depth of sea. 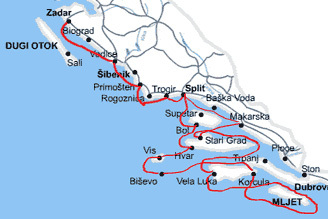 Croatia is lucky for its large number of islands but sailors need to keep in mind that each of them is surrounded by hundreds of rocks. To avoid this unpleasant encounters be sure to always check nautical maps, and to update them regularly. Anchoring is the science of which were written many books, and each situation is specific enough to be able to argue about the best angle or the length of anchor chain. It is important to know that there is no ideal anchorage, and that despite the forecast situation on the sea can change in short period of time. Anchored boat at all times need to be sufficiently distant from the coast and other boats regardless of changing wind direction, currents and waves. While entering the cove or the bay in which you plan to throw the anchor it is best to check how other ships are set and try to get in a similar position as theirs. If possible, it is best to dive in and hand-set the anchor in the strongest possible position. Keep in mind the old adage that says ‘Never enough of chain’ because every additional meter of chain helps to preserve the safety of the boat.